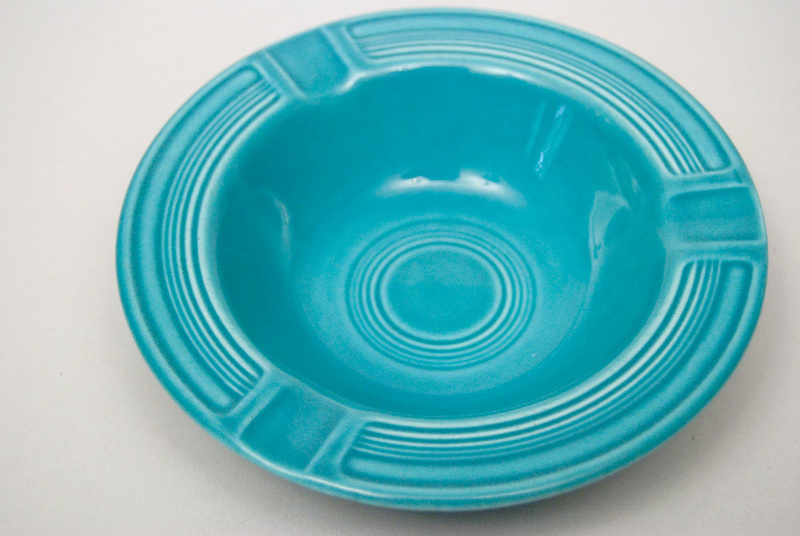 Circa 1940-1969: The only piece of the Vintage Fiesta line where the decorative bands of concentric rings are broken, in this case by the three shallow wells around the rim in which to hold your after dinner smoke. 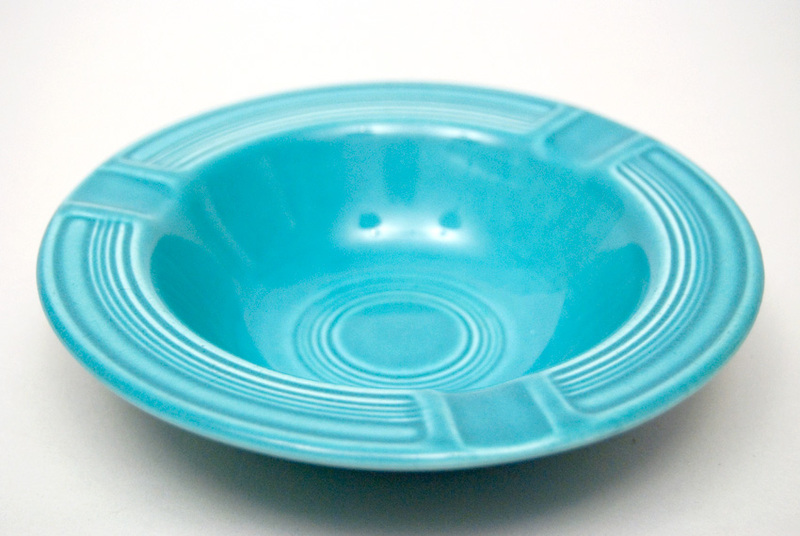 Even the utilitarian ashtray is executed with detail and flare. 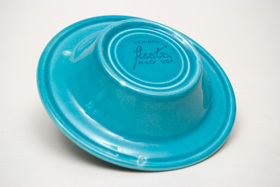 The Vintage Fiesta ashtray was part of the original line, released in 1936. 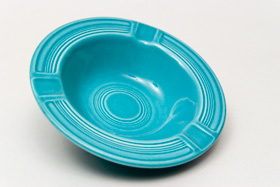 This example is in excellent condition, with no signs of use and no damage. 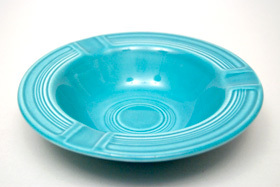 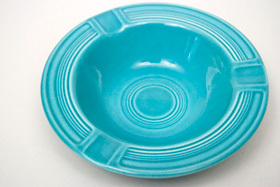 Marked with the glaze stamp on the bottom "Genuine fiesta HLCoUSA"